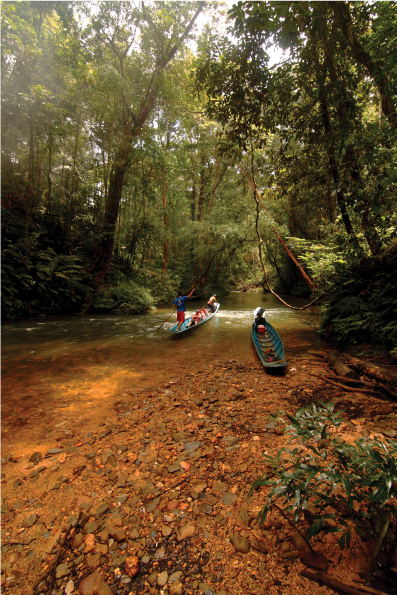 Batang Ai is a special place where visitors can both experience the Borneo rainforest and learn about Iban cultural traditions. The local communities have a vibrant living culture with a fascinating history that they are keen to share with the world. 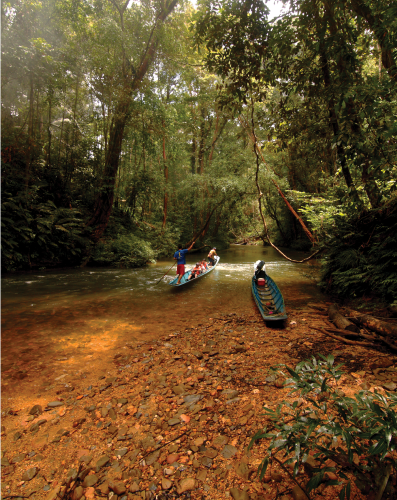 The area is also home to the most significant population of orangutan in Sarawak. These assets plus the abundant natural features of clear rivers, verdant rainforests and iconic wildlife make this a destination for the consummate traveller. The Batang Ai region is also known as a model destination for sustainable community and nature-based tourism. A vast area of rainforest has been protected via the 24,040 hectare Batang Ai National Park and the 192,800 hectare Lanjak-Entimau Wildlife Sanctuary, which abuts the 771,200 hectare Bentuang-Karimun National Park across the border in Kalimantan. 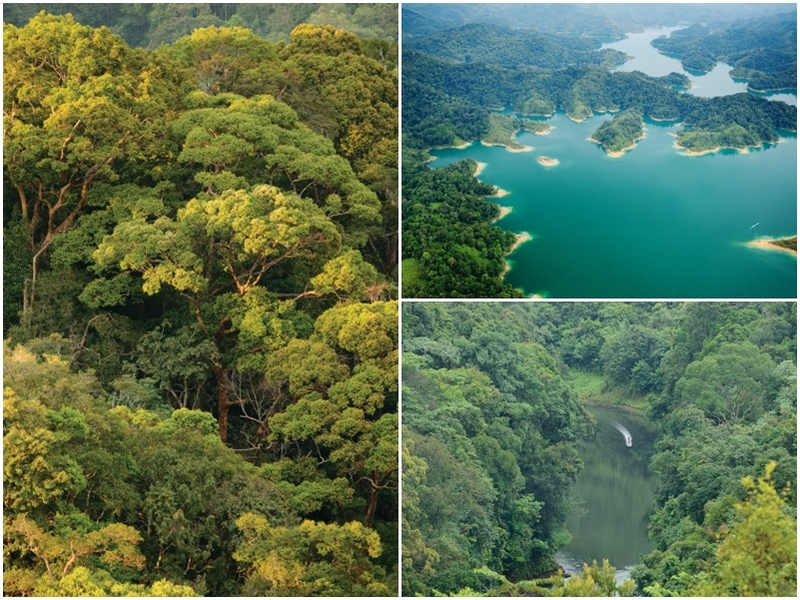 The proposed Ulu Sungai Menyang conservation area will add at least another 14,000 hectares of protected forest to this complex. All these areas have been declared as conservation sites, and form a globally significant biodiversity hotspot that provides valuable habitat for the endangered orangutan. 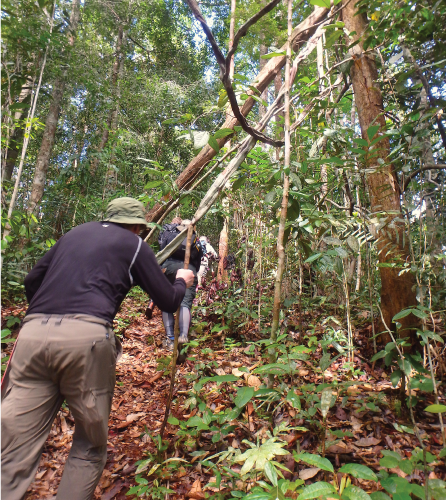 This area is also an important part of the Heart of Borneo initiative. 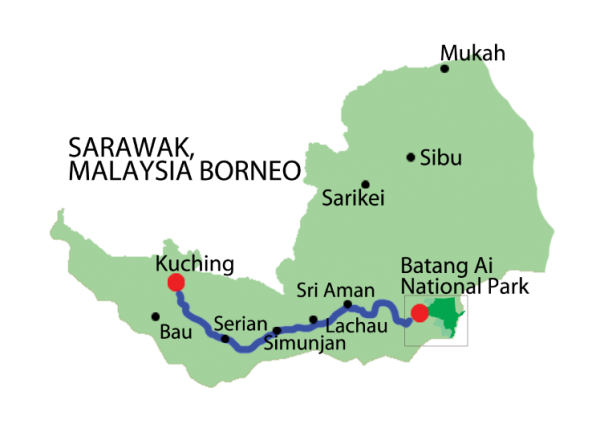 Batang Ai is one of Sarawak’s Iban heartlands with numerous communities dotted along the network of rivers that feed into the Batang Ai reservoir. The typical dwelling for these communities is the longhouse: a village under one roof usually built adjacent to the river. Rivers still provide the main access and the Iban in Batang Ai are expert boatmen, maneuvering their slender outboard-powered longboats through and around rapids and rocks. Most of the ancestors of the Iban communities in Sarawak came from Kalimantan some 300–400 years ago. They settled at Batang Ai and subsequently spread to other areas in Sarawak. Due to their relative remoteness, the longhouse communities of Batang Ai have retained much of their traditional character and charm. Pongo pygmaeus pygmaeus, the orangutan sub-species endemic to this area, is listed as endangered by the IUCN and can only be found in the forests of Sarawak and West Kalimantan. 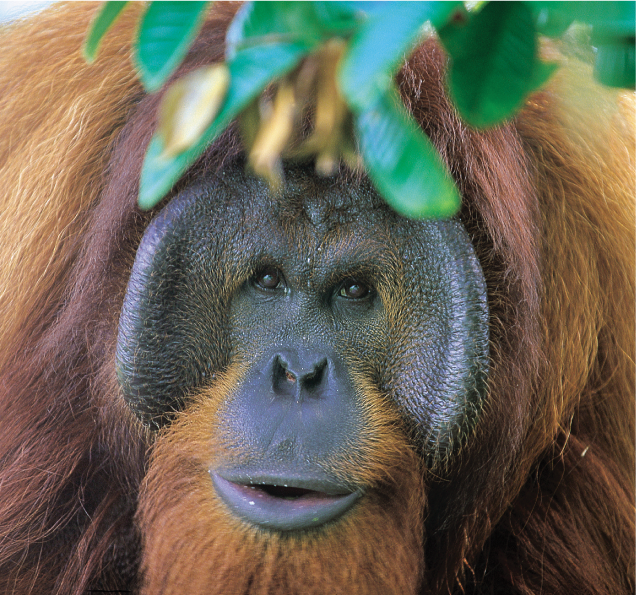 The Sarawak government is committed to protecting the habitat of this iconic primate. What is remarkable in Batang Ai is the co-existence of people and primate, living in the same area for centuries. The hydroelectric dam has effectively formed a lake and there are opportunities for boating or paddling from the main resort that is situated on edge of the lake. 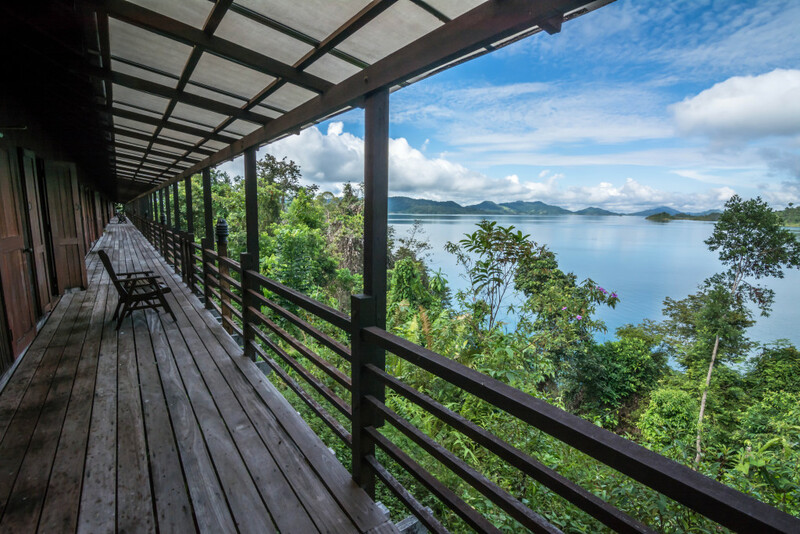 Many of the longhouses around the lake receive visitors and longhouse trips and overnight stays can be booked through local tour operators. The Iban communities in the Batang Ai area are still actively involved in farming and are, increasingly, turning to tourism to supplement their income. 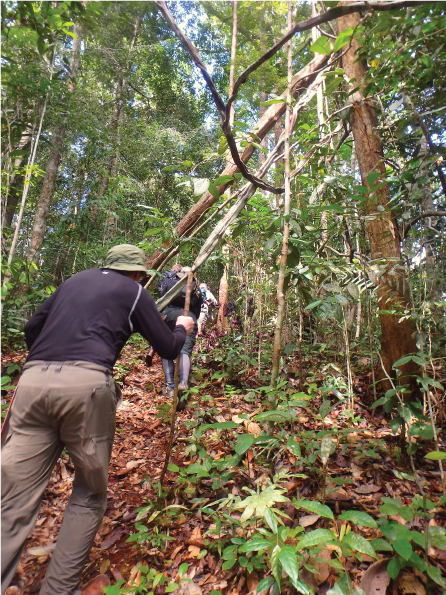 There is a range of trekking possibilities at Batang Ai. 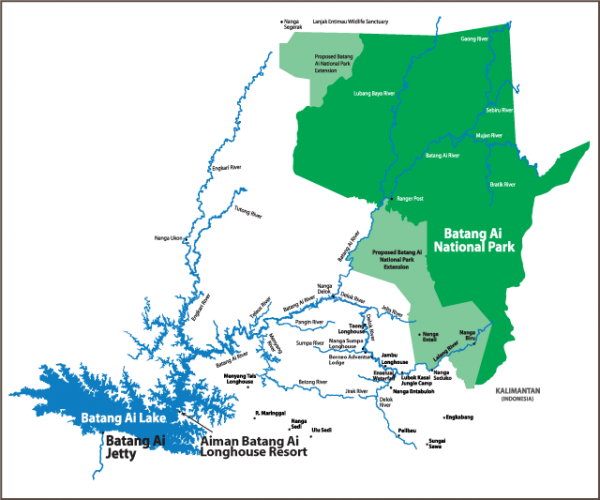 The Batang Ai National Park has 5 established trails ranging in difficulty and distance from an easy 1.8 km to a strenuous 8.2 km. 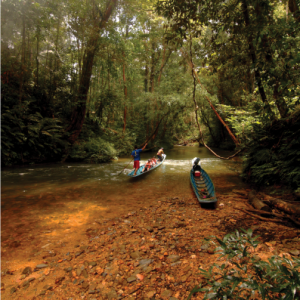 Borneo Adventure, the pioneer of tourism in Batang Ai, has had a long involvement with local communities and has developed a trekking trail network in the upper Delok river catchment. 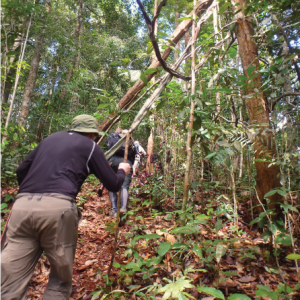 These trails pass through a mix of primary and secondary rainforest and include the Red Ape Trail, a trek through prime orangutan habitat. 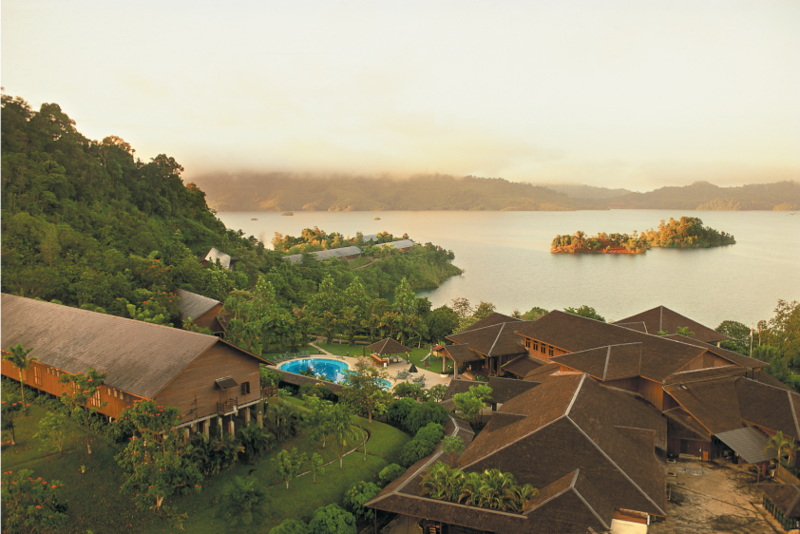 Batang Ai is located 275 kilometres from Kuching. The road journey from Kuching to the Batang Ai jetty takes approximately 4 hours, including stops at market towns; Serian, a Bidayuh market town is about an hour’s journey from Kuching; and about another 1.5 hour beyond that is the border town of Lachau. There is an option for a short detour to Sri Aman, a town mentioned in one of Somerset Maugham’s short stories; this is the place to watch the benak (tidal bore) as it races up the Batang Lupar, and where Fort Alice, one of Rajah Charles Brooke’s forts, perches imperiously on a hillock. 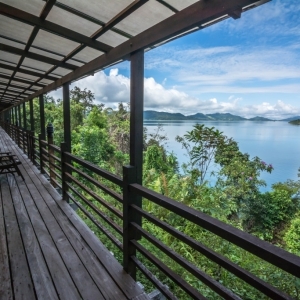 Arriving at the Batang Ai jetty, hop on traditional longboats to longhouses and other attractions; the Aiman Batang Ai Resort & Retreat runs a regular shuttle ferry service from the jetty. 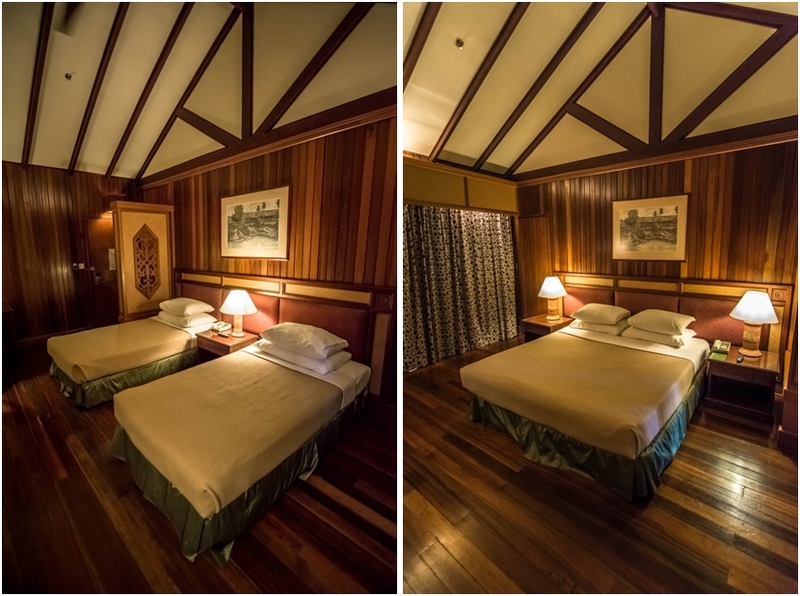 There are a variety of accommodation choices in Batang Ai including the lakeside Aiman Batang Ai Resort & Retreat and Borneo Adventure’s award winning Nanga Sumpa Lodge located on the upper reaches of the Delok River. 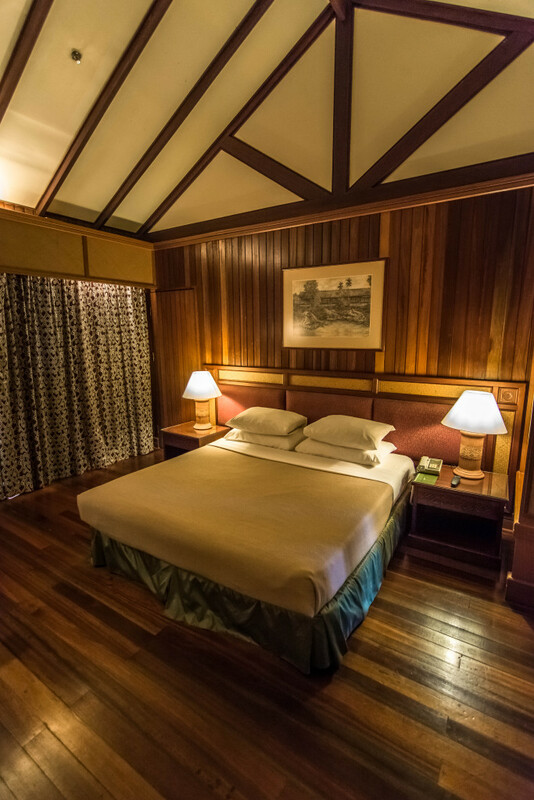 Borneo Adventure also operates two jungle camps at Mawang and Lubok Kasai for those interested in getting closer to the rainforest. 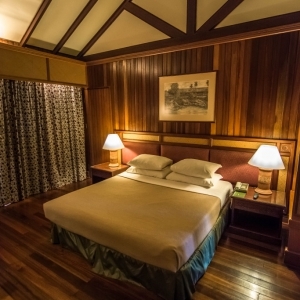 Borneo Transverse offers accommodation at Mengiling situated by the lake.